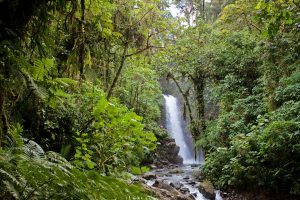 Deciding to finally pack your bags and move to Costa Rica is a big step, but it’s only the first step. Moving indefinitely to a new, tropical country can be both exciting and intimidating, and you’ll need to do your research to make sure the move goes as smoothly as possible. 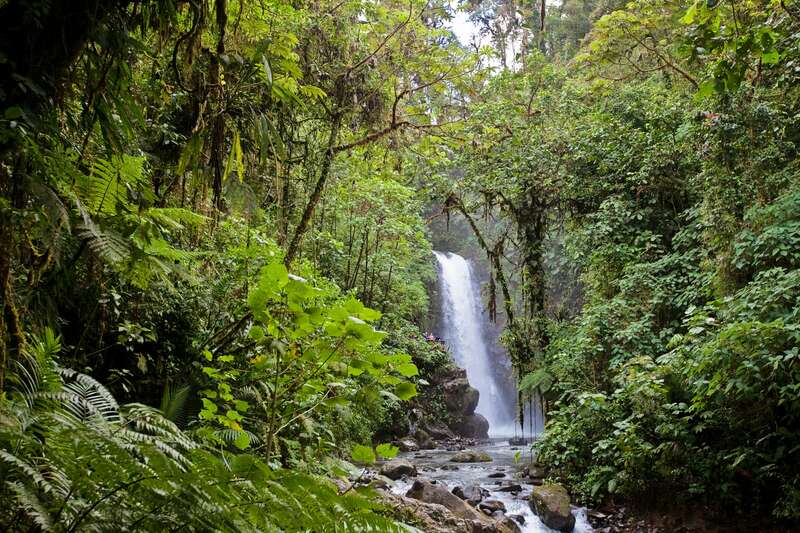 A huge part of that research will be directed at where in Costa Rica you will settle down. Most new incomers to this small, Central American country head straight to the beach. You’re moving to the happiest country on Earth to find peace and contentment, so moving beach side makes good sense. You shouldn’t, however, move to the beach without considering the Central Valley first. True, the Central Valley has no shore lines, but the benefits of mid-country living may surprise you. The Central Valley of Costa Rica is a beautiful and diverse region, and its residents receive a lot more benefits than just the stunning beauty. While you’re analyzing your options, be sure to include the Central Valley in your research, you may just find an unexpected yet happy home. Costa Rica is a small country, but with narrow roads and lower speed limits, traveling to a nearby city can still be very difficult. 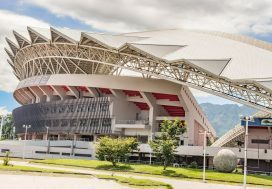 The regions within Costa Rica are more separate and unique than you might expect, and they all receive very different amenities and access to goods. Most high-quality amenities and international products arrive directly to the Central Valley. Those in other regions of the country will need to travel to the valley for these goods, and it can take a significant amount of time. If you want the best amenities, the best access to your comfort foods from back home, and the best hospital and school options, life in the Central Valley may be for you. The beach life is simple and happy, but after a year or so, many residents report that the lack of high-quality amenities and products starts to become a burden. Moving inland will resolve any access problems and provide a more comfortable lifestyle. The Central Valley has a booming industry, most notably in technology. This is very good news for those of you looking to start a business upon arrival. While retirees may not care about business competition, those looking to earn a living will find the best atmosphere in the area around the capital city, San Jose. While the rest of the country stays busy with the tourism and hospitality industry, the Central Valley maintains a wide variety of booming business opportunities. Entrepreneurs will find the community support and economic climate they need for success. You may not be living beach-side, but you’ve made no sacrifices in natural beauty either. Moving to the Central Valley doesn’t necessarily mean moving to urban San Jose. 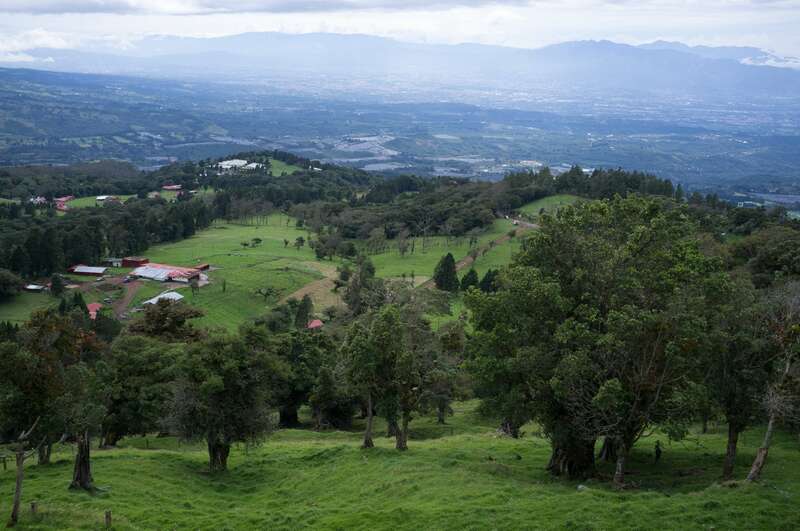 You can still find the perfect hill-top community with views of endless expanses of volcanos. Weekends will be dedicated toward exploring the hiking paths and finding hidden waterfalls. Most volcanoes in this region are part of protected National Parks, making for the perfect day trip for your family. By living in the Central Valley, you’ll have access to the tallest and most breathtaking waterfalls as well as the majority of National Parks. If you aim to buy a large piece of land, you may even end up with your own private waterfall in your backyard. No matter where in the Central Valley you decide to go, you’ll be surrounded by stunning, natural beauty. There’s one obvious advantage to living in the middle of the country: you’re close to everything. While those living in the corner of the country may have a hard time exploring the rest of Costa Rica, you have equal access to all regions. 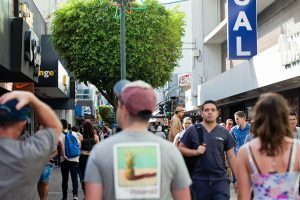 You’ll quickly find the nearest beaches on both the Pacific and the Caribbean Coasts, then you’ll explore both the Northern mountains and the Southern wet lands. You’ll quickly see the huge diversity your new country has to offer, and better yet, you’ll never again waste a weekend. Everything is nearby, but the actual travel is made easier as well. San Jose has the country’s largest international airport, as well as the most stations for local and charter buses. You’ll easily be able to arrange transportation to nearly everywhere. You can’t go wrong with a tropical country, but for what it’s worth, the Central Valley has the best climate of all. You’ll stay warm year-round while still avoiding the tropical sweats and stifling heat of the Pacific Coast summers. During the majority of the year, you’ll experience days reaching into the mid-80s, followed by nights dipping into the 60s. You’ll be able to wear both your favorite tank-top and your coziest sweater in this region, and comfort is a guarantee. Better yet, you most likely will never feel the need for air conditioning. Running an air conditioner can be very expensive in Costa Rica, but summer nights on the coast lines are unbearable without it. Those living in the Central Valley can cross this expense out of their budgets, you’ll have year-round comfort without spending a dime. 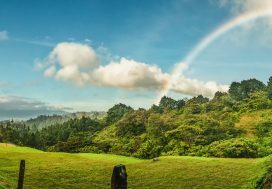 The first year of your new life in Costa Rica will be full of exploration and adventure, but the ultimate goal is to settle down into a happy, sustainable way of life. You can’t be a tourist forever, sooner or later you’re going to want the stability of the locals’ way of life, known as the “Tica Life.” The Central Valley has less tourism (yet still enough to maintain a hospitality business), and a much more well-rounded lifestyle. You’ll make new friends and settle into routines of coffee dates, hiking trips, and family get-togethers. Life on the beach can mean a lot of people come and go from your lives. People will be coming from one-week visits or one-year stays, but most ultimately move back to their own countries. If you are planning an indefinite stay and want a long-term community, you might more easily find it in the Central Valley. You’ll find like-minded expats and locals to share your life with, and your family will more easily integrate into a stable life. Happiness and comfort guaranteed, the Central Valley may be the perfect destination for the next phase of your life.